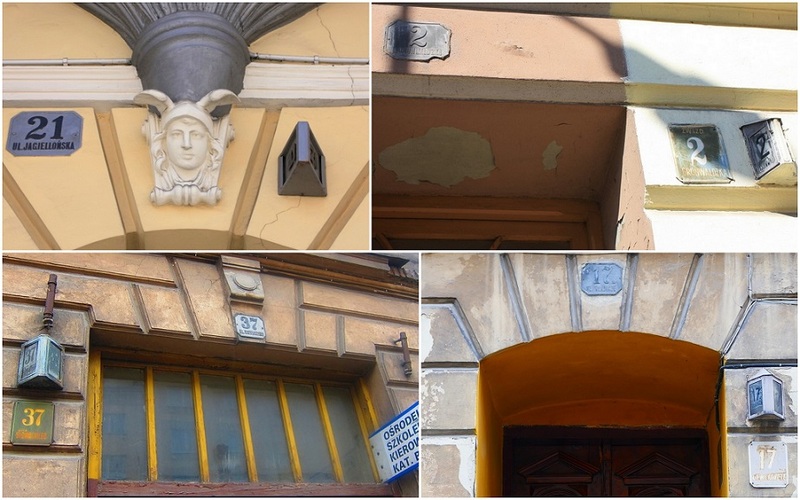 It is not uncommon in Przemyśl, Poland, to find two, three, or even four different street signs on one building—dating to different periods and regimes: the Austrian Empire, interwar Poland, Communist Poland, and modern Poland. 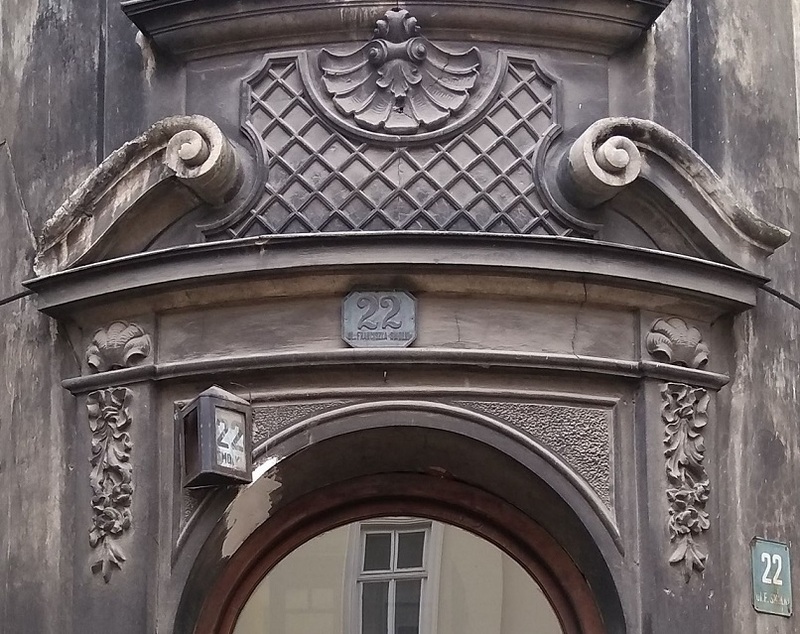 This is because in Poland there was never a campaign to remove Polish inscriptions from the urban landscape, as the Soviets did in places like Lviv. 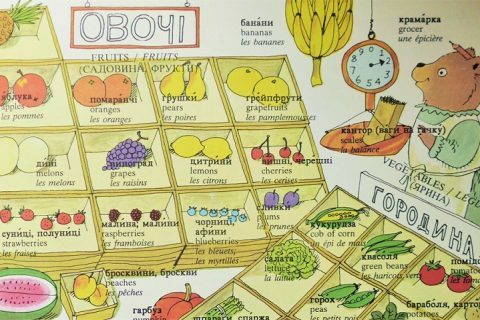 Furthermore, throughout the years (with the exception of a few years during German occupation) the official language of the city remained Polish, unlike in much of eastern Galicia, where today Ukrainian is the official language. 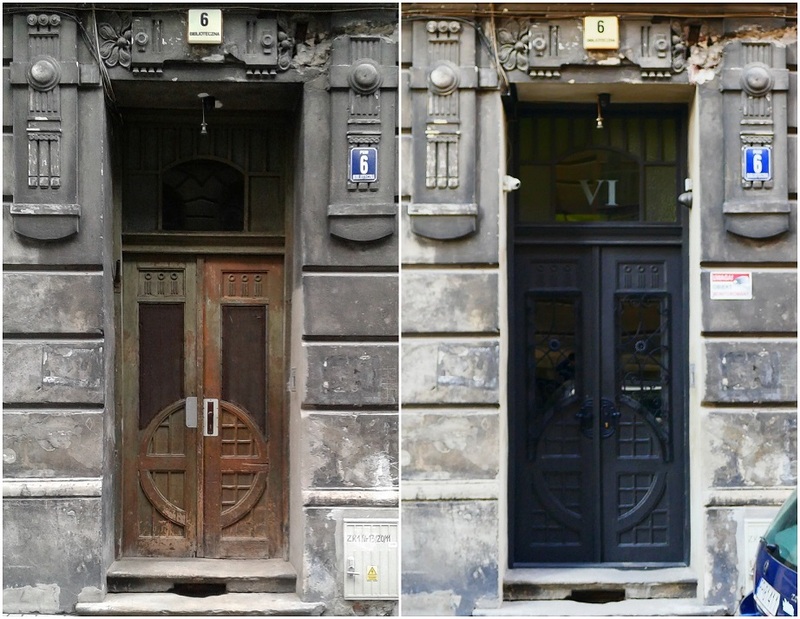 Thus when each new regime renamed a street or introduced new regulations for the type of street signage, a new sign was mounted near the doorway while the old ones were generally left in place. 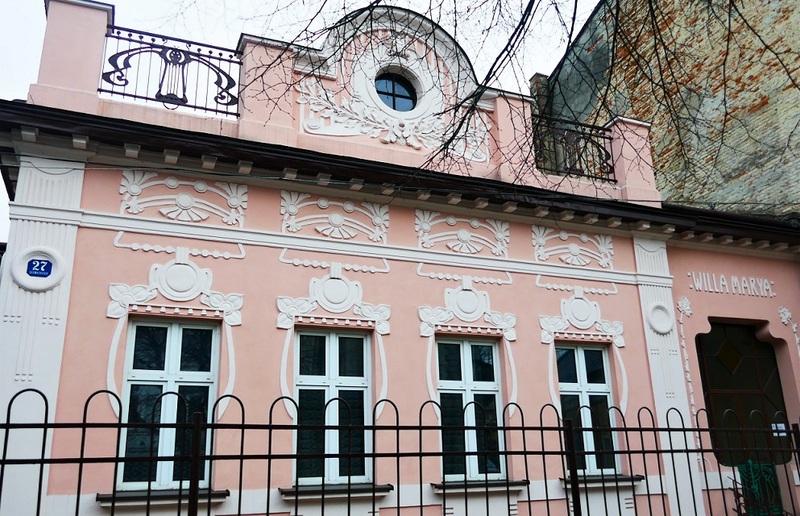 As a result myriad historical signs can still be found in Przemyśl. While many of these signs still correspond to the name of the street today, quite a few display names that for decades have been outdated. This is the case especially with the Austrian-era metal plaques, which can be found around the city. 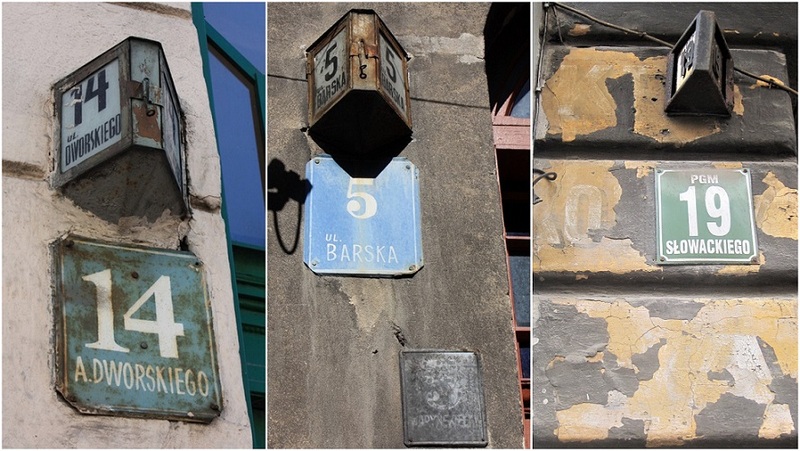 These, by the way, are similar to the pre-WWI street signs that can still be found in other places of the former Austrian Empire like Lviv (though not many) and Vienna. For example, Biskupa Antoniego Radylowskiego Street (ul. Bisk. A. Radylowskiego) no longer exists — but such a street sign still does. Today the street is named ul. Komisji Edukacji Narodowej. On Stanisława Leszczyńskiego Street a pre-1939 sign with the name ul. Króla Leszczyńskiego still remains. During German occupation (1941-1944) the street was named Radetzkystrasse and from 1944 ul. Stanisława Leszczyńskiego. 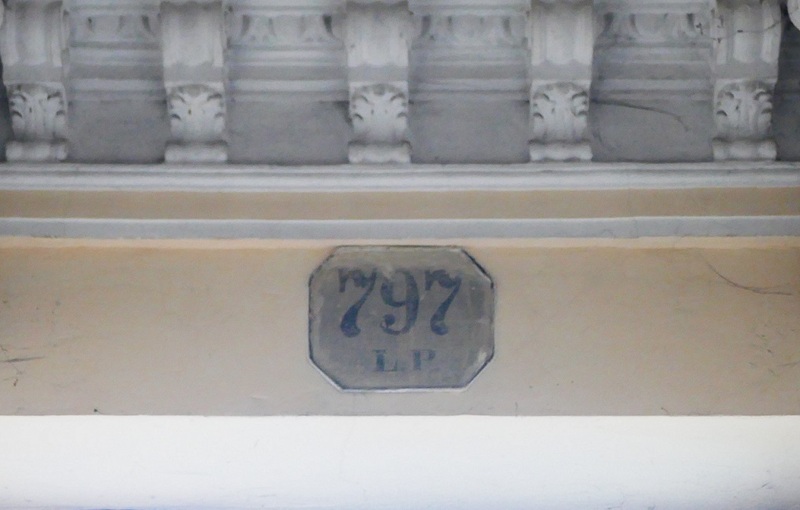 On Chopina Street, one can still find a pre-WWI sign with the name ul. Zielona (Green St.). From 1880 to 1881 this street was named ul. Podzamcze Górne; from 1881 to 1918 ul. 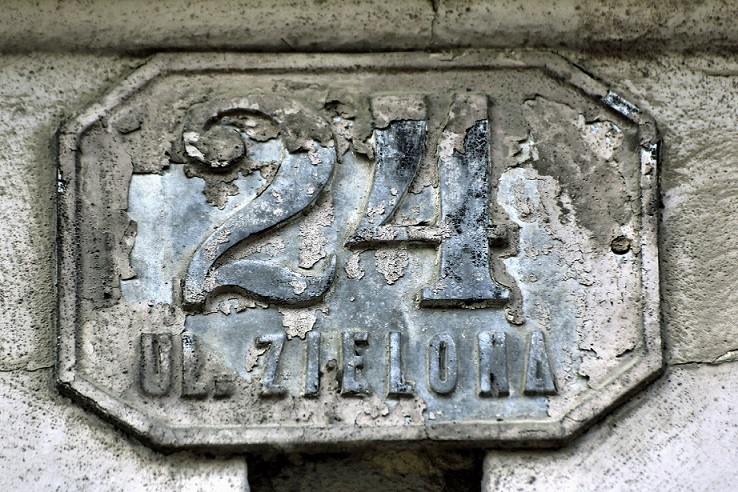 Zielona; from 1918 to 1939 ul. Chopina; from 1941 to 1944 (German occupation) ul. Parkstrasse; and ever since 1944 ul. Chopina. On Łukasińskiego Street there is still a sign for ul. Szpitalna (Hospital Street), which was the name of the street from 1895 to 1932. 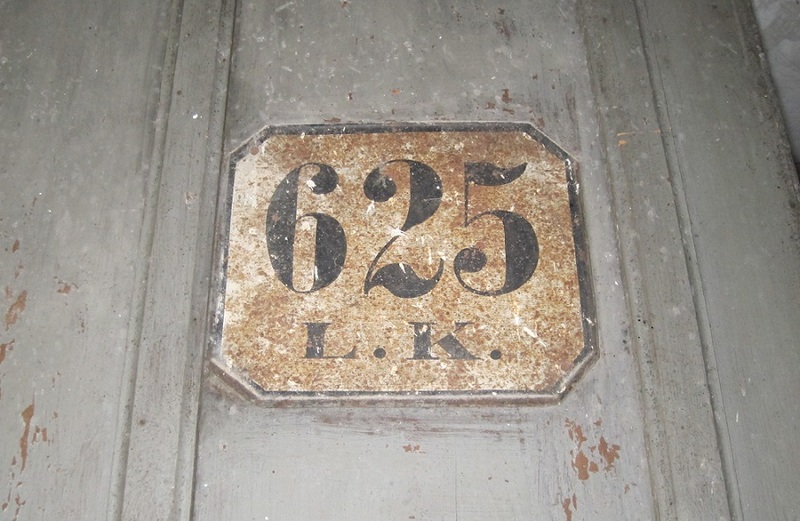 From 1932 to 1939 it was named Łukasińskiego; during German occupation (1941-1944) Lukasinskistrasse; and from 1944 Łukasińskiego. 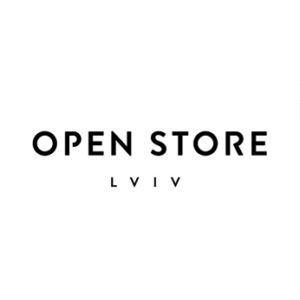 Ul. Kaciubka is today ul. Świętego Józefa. 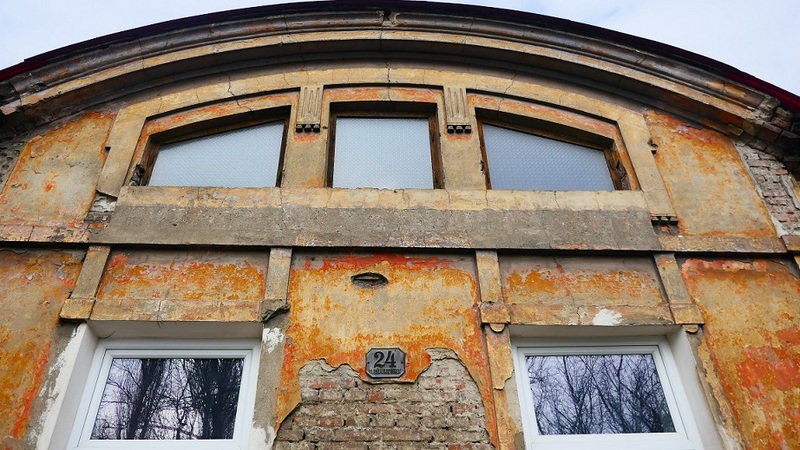 This villa not only has an old street sign but its own name — Villa Marya. 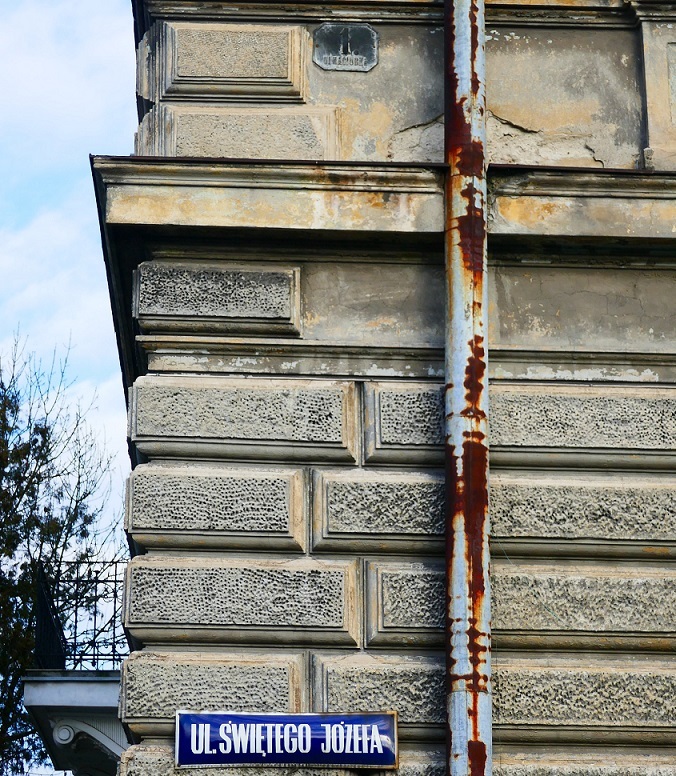 Alongside the prewar metal plaques, we can find multiple other street signs, from the interwar wall-mounted street lights with street names and building numbers to the pale blue Communist-era signs and the brand new cobalt blue signs. 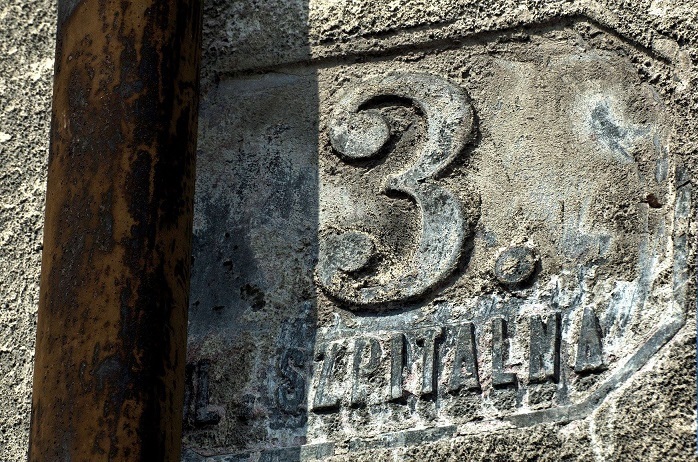 This building has three building number signs and one conscription number (carved into the building—No. 112). 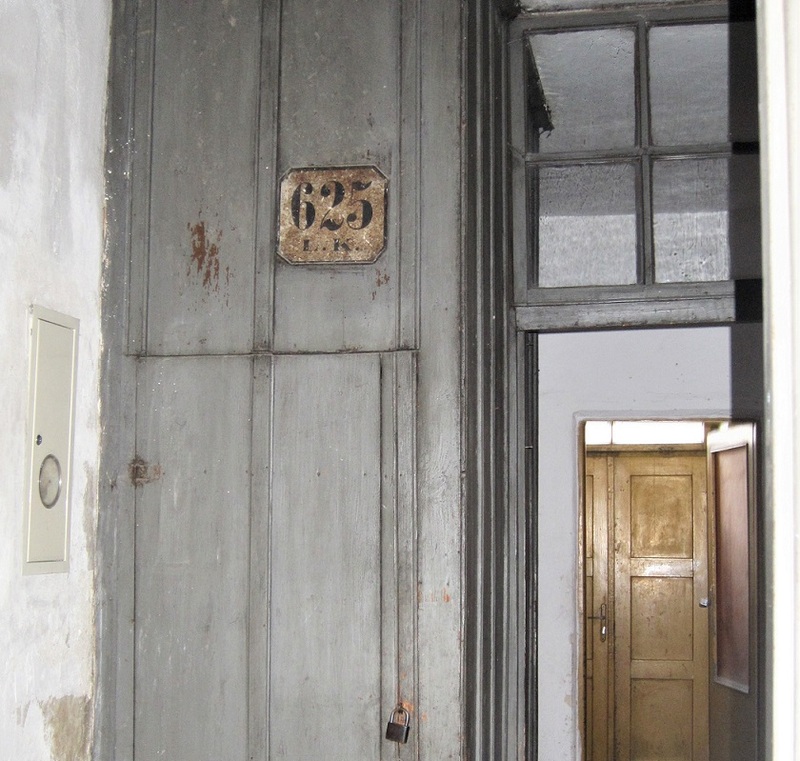 After the conscription number, the next oldest is the metal plaque above the portal, then the wall light to the left, and finally the Communist-era sign to the right. 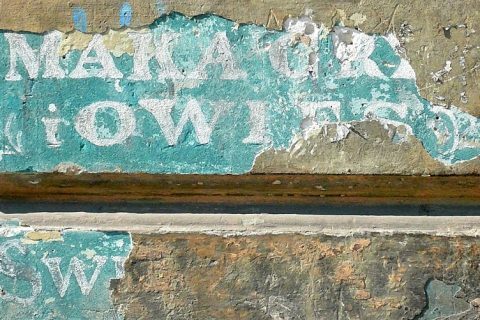 The picture to the right also features traces of a ghost sign. When this door was restored, the number six was added to the new window pane, which I assume is because the original glass had this inscription. 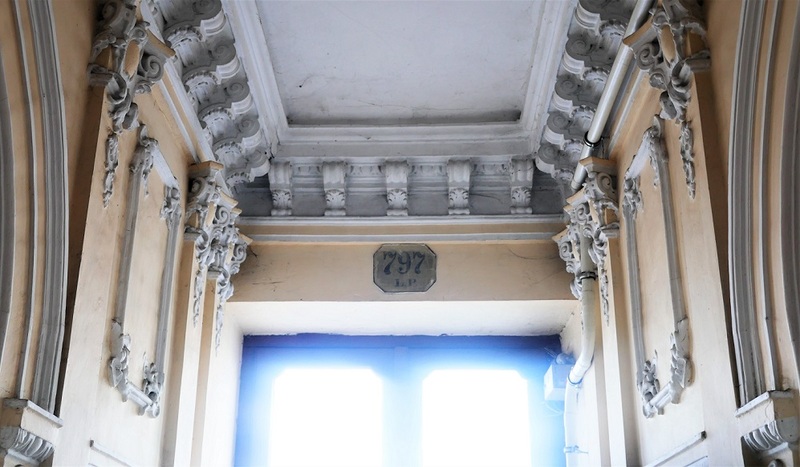 In Vienna during the Austrian Empire, Roman numerals were used for Jewish buildings, while Arabic numerals for the rest. This is likely the case here, for this building is located right next to a former synagogue. 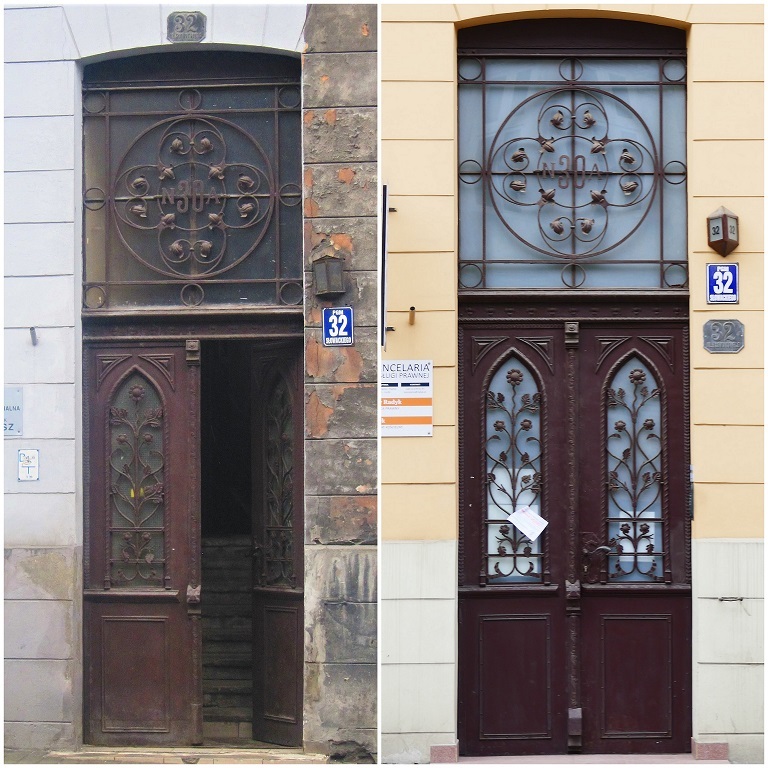 When the facade of this building was repainted and the door restored, the prewar sign was moved from above the doorway to the side near the restored (or replica) interwar sign and modern sign. 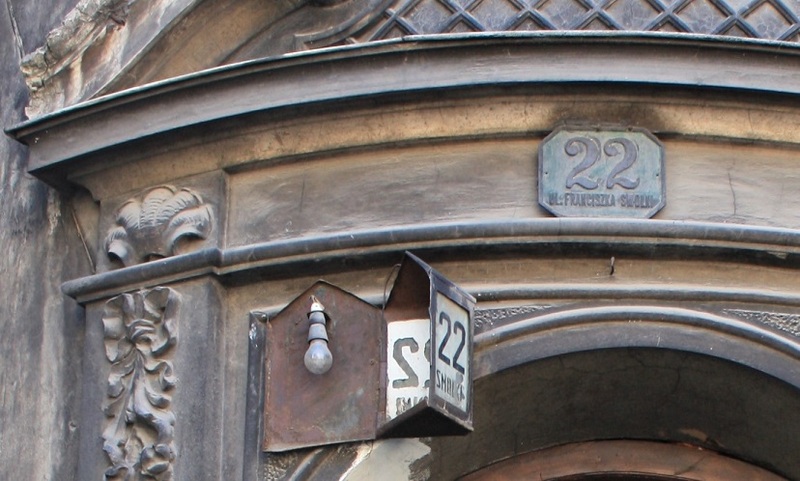 Note that the street number is also integrated into the ironwork of the window. Interestingly it displays N. 30a not 32. 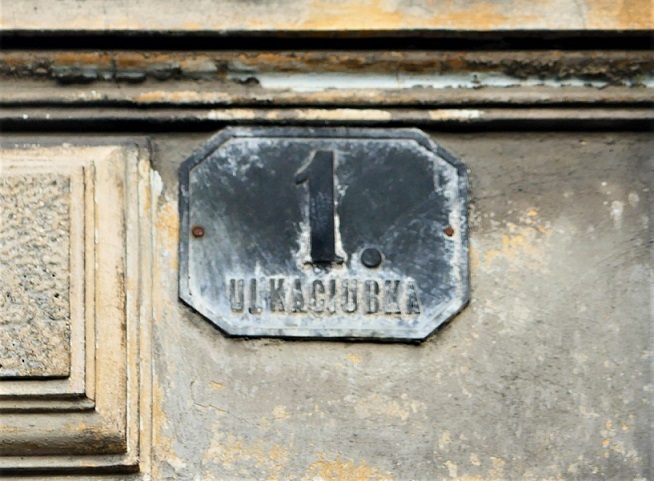 Street names and building numbers were sometimes integrated into the architecture of a building. A beautiful example is this prewar window pane with an inscription of the street name. 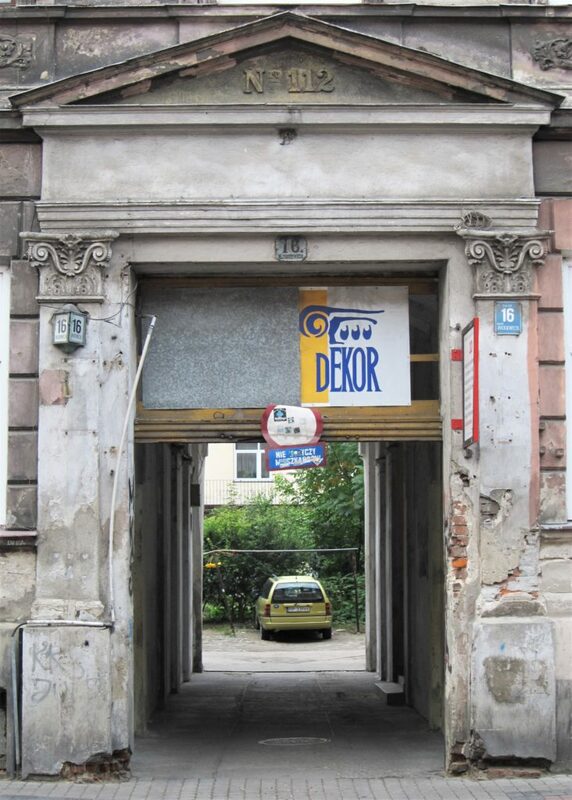 The pane on the right would have had the inscription Dworskiego, the rest of the street name which was and still is named after Aleksander Dworski. What’s more, the pane with the inscription carries a war wound: in the lower-left corner a trace of what looks to be a bullet hole from one of the wars. 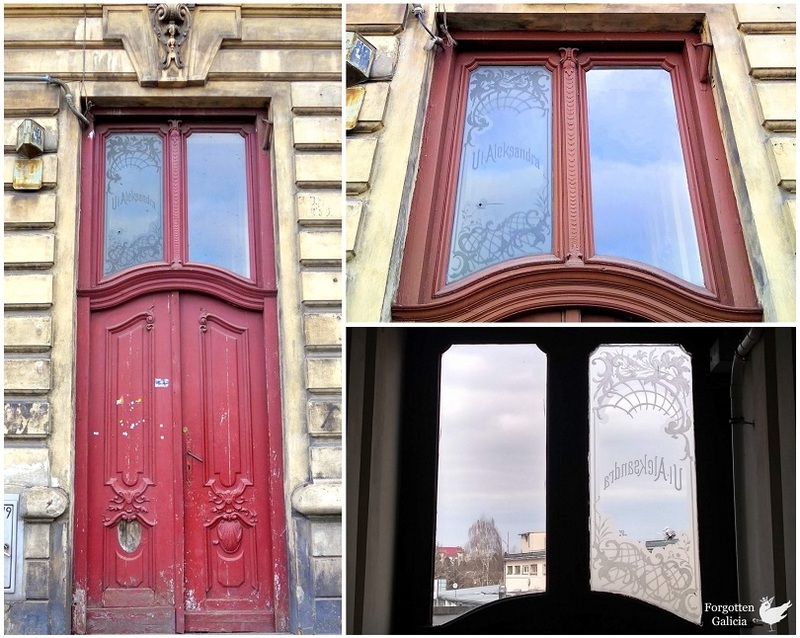 Fortunately, the glass wasn’t shattered and it continues to persevere even over one hundred years later. Hidden just inside is yet another sign, the oldest of them all — a conscription number. Conscription numbers were introduced so that the Austrian imperial regime could have a record of all eligible men who could be drafted into the army. 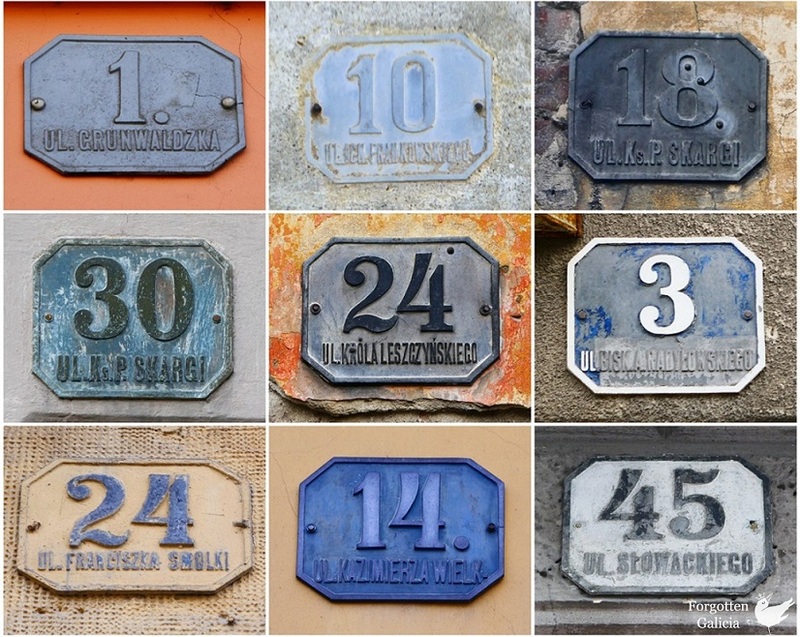 This was the method for numbering houses before sequential numbering and official street names were introduced in the Austrian Empire in 1871. Indoor conscription signs in Lviv are hard to come by (I’ve only seen one), but in Vienna many interior ones still remain. In addition to the above, I’ve come across one other example of an interior conscription sign in Przemyśl. 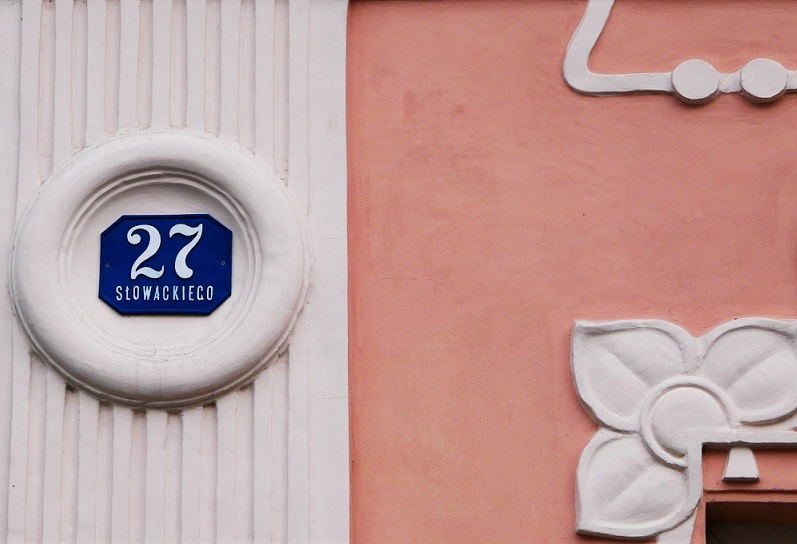 All in all, half a dozen different types of street signs reaching back to the nineteenth century still adorn Przemyśl’s buildings. But rather than help us orient ourselves in the city as they once did, today they help orient us through the city’s past. 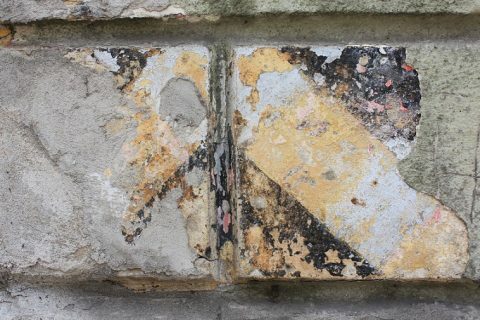 For each sign is now a clue to what came before, a reminder of a different time, a different regime, a different political agenda, a different social order, a different aesthetic, a different world.